One of the top Seattle board certified facial plastic surgeons in the Pacific Northwest. Dr William Portuese is board certified by the American Board of Facial Plastic and Reconstructive Surgery and by the American Board of Otolaryngology. He is one of the best rhinoplasty experts in the US. Current president of the Washington State Chapter of Plastic Surgeons. Dr. William Portuese is also a Clinical Instructor in the Department of Otolaryngology, at the University of Washington. Author of numerous publications in his medical field. He regularly gives presentations on local, national and international levels. Experienced board certified doctor with best outcomes possible for the face and neck. Why Choose The Seattle Facial Plastic Surgery Center? We offer a variety of procedures and treatments for facial rejuvenation. Options include both surgical and non-surgical procedures. One of the most common plastic surgery procedures is a Rhinoplasty or nose job. This surgery is best performed to increase or decrease the size of the nose, sculpt and change the shape of the tip, bridge, bones, cartilage or nostril size. Nothing has a greater impact on how a person looks than the size and shape of the nose. Because the nose is the most defining characteristic of the face, a slight alteration can greatly improve one’s appearance. It is important to have realistic goals and expectations regarding the outcome of any rhinoplasty cosmetic surgery procedure. It is also important to consider why you want to have a cosmetic nose job – rhinoplasty. The goal of this nasal contouring surgical procedure is to improve the nose aesthetically to better balance with the other features of the face; sometimes breathing is improved at the same time. This is performed by making small incisions on the inside of the nose. 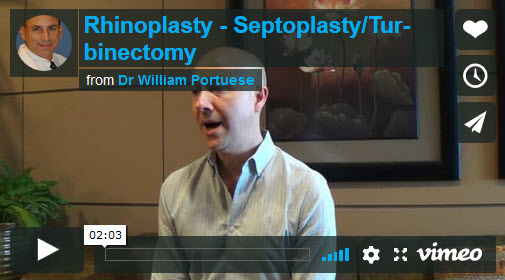 There are no external incisions during rhinoplasty. The skin is lifted off of the cartilage and bone and the nose is then sculpted to the appropriate shape. The skin is then placed back in position and dissolvable sutures are used to close the incisions inside the nose. View some of the best rhinoplasty and facelift before and after photos. Contact this local doctor at 206-624-6200. 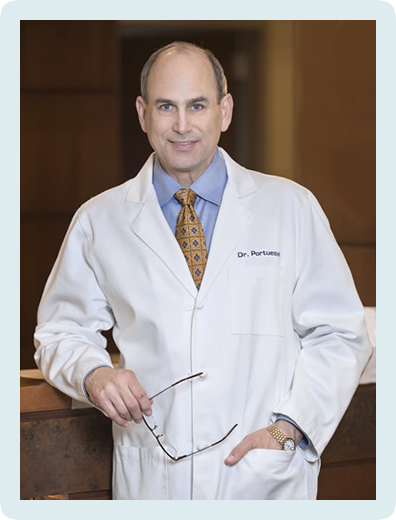 William A. Portuese, MD, owns and operates The Seattle Facial Plastic Surgery Center, where he has served patients from Seattle, Bellevue, Tacoma, King County, Portland, Anchorage, Washington, Alaska, Wyoming, Idaho, Oregon and Canada. His cosmetic / reconstructive medical practice offers a wide range of cosmetic services, including facelifts, rhinoplasty, and blepharoplasty. The cost of a rhinoplasty surgery is driven by 3 fees, which include time under anesthesia, time in the operating room, and the surgeon’s fee for performing the rhinoplasty procedure. It is also important to factor in costs of a touchup, if needed at one year after the procedure. The cost to perform rhinoplasty surgery with us is much less expensive than performing it in a hospital setting. The cost: Rhinoplasty (Regular): $7,850 (Surgeon & Operating Room) + $643 (Anesthesia) - Rhinoplasty (Complex/Revision): $10,000 (Surgeon & Operating Room) + $786 (Anesthesia)) . "Dr. Portuese was great. He didn't force anything on me. Instead, he discussed all my options. Since we had exhausted everything and I really wanted to get this issue solved, I opted for the cosmetic procedure..."